When I was in school the only way we reviewed math facts was with flash cards. I dreaded sitting in class waiting to be called on. Now, I am not saying throw your flash cards in the trash…but I am saying that there are other ways to review. I have found that kids enjoy working with their hands. 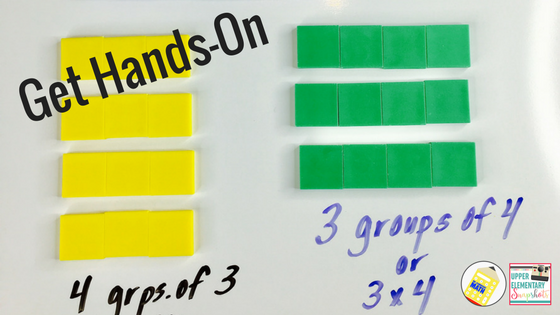 This is a win-win because hands-on lessons keep them engaged and help make abstract concepts more concrete. One activity that I like to do with kids is called Guess My Multiplication Sentence. I pair students up and call out a product, such as 12. One student makes an array with manipulatives and the other student has to guess the multiplication sentence that matches the array. Then as a whole class, we record all the different multiplication sentences that were created. This is a BIG one. Games are a great way to get kids to review multiplication facts. Especially in small group settings. I like to choose games that have multiple representations of multiplication facts like repeated addition, arrays, and multiplication sentences. I also like games that are simple to place but are also challenging. 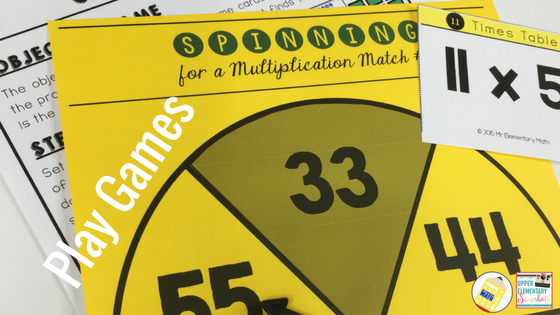 I created a Multiplication Facts Bundle that includes 3 different math games (Face Off, Multiplication Flip and Spinning for a Match) that kids can get excited about. Have you ever had a song stuck in your head? There are some really catchy multiplication songs out there. While songs may not teach conceptual ideas, they are great for your auditory learners. Flocabulary is a great site with beats that will appeal to older students. You do need a subscription, but it is worth it. Who doesn’t like to cheer own their classmates? Competitions can be an awesome way to get to kids to review facts and teach sportsmanship at the same time. 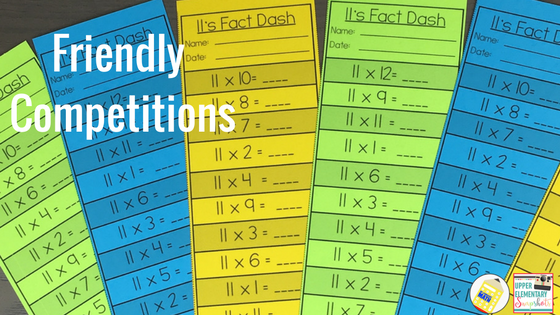 One idea is to use the Multiplication Fact Dash strips in the Multiplication Facts Bundle on a weekly basis. Randomly call two students and have them race to fill out the Fact Dash strip. The student that gets the most correct earns a point for his or her team. 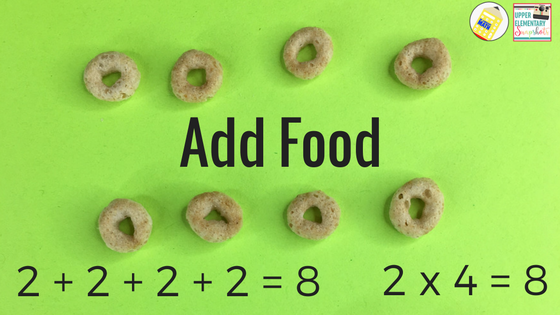 Have your kids make arrays with tasty treats like peppermints, cereal, jellybeans and more. Everything is more fun with food! Have your kids make an array and then write both the repeated addition sentence and the multiplication fact. Competitions don’t always have to be with other people. Students can try to beat their own time. 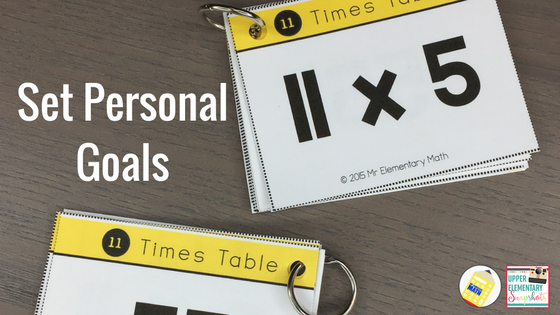 Students can use the student study cards in the Multiplication Facts Bundle and set goals. But wait, aren’t these flash cards? Yes, but here is a little spin on how to use them. Let students set their own personal goals. For some students, this can actually be less stressful and more rewarding because they are taking ownership of their own learning. For example, a student may set a goal of one minute to name all of the 6 times tables facts. 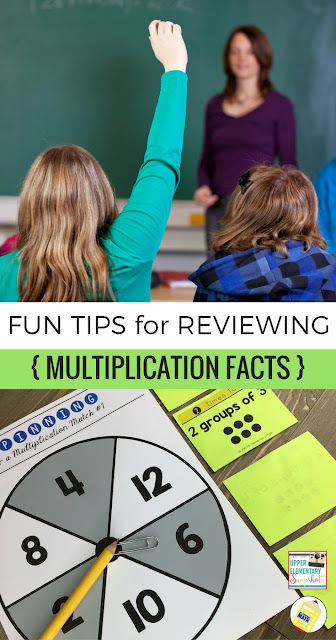 These are just a couple of ways to up the fun factor when reviewing math facts. If you have any to add to the list please leave it in the comments section below. I hope you enjoyed reading this posts. 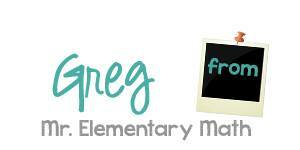 For more elementary math tips & strategies check me out at mrelementarymath.